State Coal Mine. —. The arrival of General Carnes with the bulk of the state militia overwhelmed the miners by the late summer of 1892. Although they lost the final battle, Coal Creek miners won the war when newly-elected Gov. Peter Turney fulfilled a campaign promise and appropriated funds to build Brushy Mountain State Prison with its associated coal mine. The arrival of General Carnes with the bulk of the state militia overwhelmed the miners by the late summer of 1892. Although they lost the final battle, Coal Creek miners won the war when newly-elected Gov. Peter Turney fulfilled a campaign promise and appropriated funds to build Brushy Mountain State Prison with its associated coal mine. 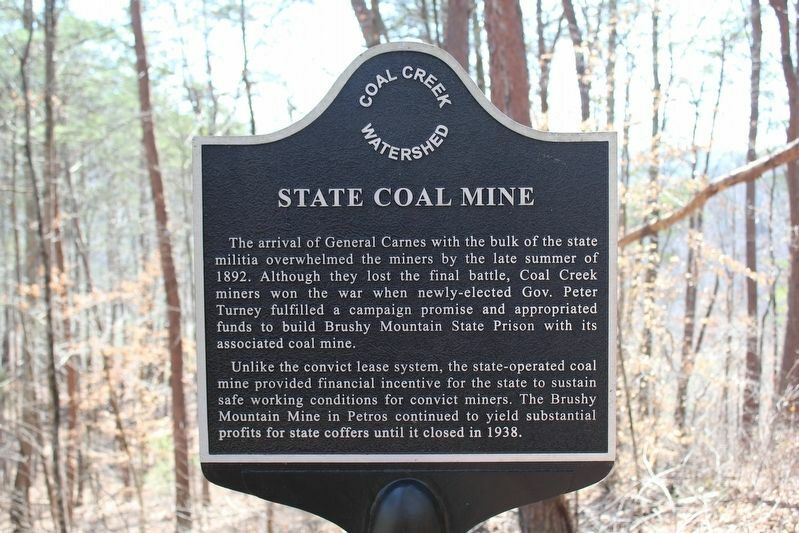 Unlike the convict lease system, the state-operated coal mine provided financial incentive for the state to sustain safe working conditions for convict miners. The Brushy Mountain Mine in Petros continue to yield substantial profits for state coffers until it closed in 1938. (here, next to this marker); American Chestnuts (here, next to this marker); Fire on Coal Creek (here, next to this marker); Siege on Fort (here, next to this marker); Ghosts of Convict Miners (here, next to this marker); Fort Anderson (here, next to this marker); Why Miners Fought (here, next to this marker). 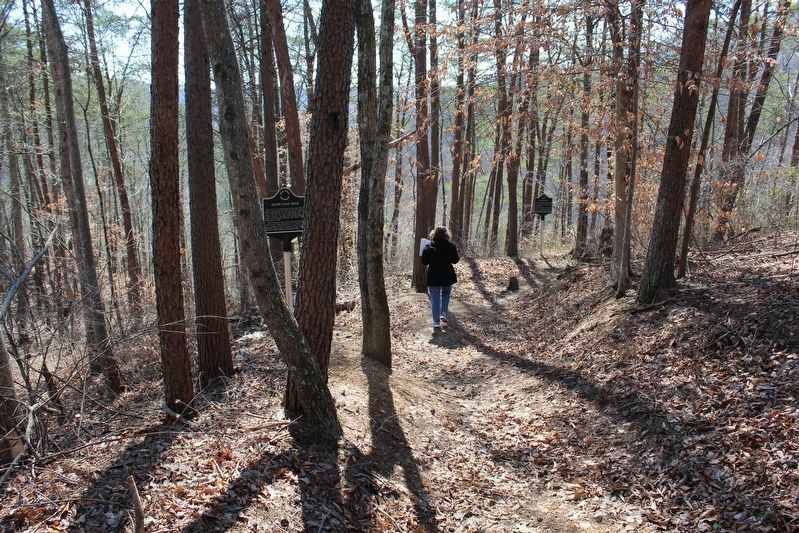 Touch for a list and map of all markers in Rocky Top. More. Search the internet for State Coal Mine. Credits. This page was last revised on April 13, 2017. This page originally submitted on March 26, 2017, by Tom Bosse of Jefferson City, Tennessee. This page has been viewed 96 times since then and 5 times this year. Photos: 1, 2. submitted on March 26, 2017, by Tom Bosse of Jefferson City, Tennessee. • Bill Pfingsten was the editor who published this page.